« >Edie Ramer Interview + Giveaway! Barbara Kyle’s upcoming release, The Queen’s Gamble, is as rich and intricate as it’s gorgeous cover. 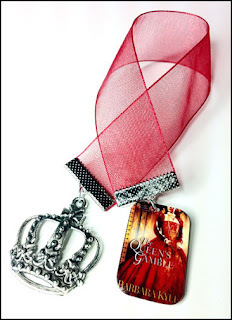 Before I forget, I have 5 beautiful bookmarks to give away! AND a print ARC of The Queen’s Gamble! Comment or ask Barbara a questions to enter. I am the first to admit to a historical knowledge deficit, alarming (or maybe more embarrassing) considering my father was a history teacher for 30+ years. But I can’t deny my fascination with Barbara Kyle’s ability to weave true history with her own brand of fiction–complex story lines, unexpected twists, seething passion and drama galore. Add in rich characters with seemingly insurmountable conflict, stakes high enough to spear clouds and a smooth, engaging writing style … you’ve got a real can’t-put-it-down read. Q: You weave real history in with fiction to create your novels. That’s fascinating. What sparked that idea? Movies. Filmmakers have used this technique forever; it’s a grand tradition that I’ve incorporated into my novels. I’m scrupulous about not deviating from the historical record – for example in 1558 Queen Elizabeth did secretly send money to help the Scottish rebels fight their French overlords, and when this “cold war” broke into a hot one she sent an army. Then, into real frameworks like this I set my fictional characters – members of the rising, middle-class Thornleigh family – to play crucial parts in the historical drama. In the early morning I answer emails for about an hour. For the rest of the morning I fix what I wrote the day before. That’s my favorite thing to do – I could fix forever – so I have to cut myself off at noon. Quick lunch (often eaten at my desk: messy). Then I buckle down to create the next bit. I aim to create five pages a day, but rarely make it; usually it’s three or four pages. At about three o’clock I’m done, and I go for a walk or to the gym. Q: Who or what has influenced your writing, and in what way? Great writers of big stories like Leon Uris, Margaret Mitchell, Herman Wouk. And fine writers of narrative non-fiction like David McCullough on John Adams; David Starkey on Elizabeth I; Adam Hochschild on WWI; Erik Larson on Berlin as Hitler came to power. I never tire of reading how we got where we are now, a.k.a. history. Even more vivid and beautiful in person. Reminds me of red velvet cake – YUM! Q: How does your family view your writing career? Q: How do you keep in touch with your readers? My Facebook Author Page at http://tinyurl.com/3jljjrl is fun. I respond to almost every comment that readers post there. Also, I love running contests; the one I’m running now is to name the grand new manor house that my characters have built. I also send out a Newsletter every few months. And I adore Twitter and tweet every day. Follow me at @BKyleAuthor. Q: What authors do you like to read? Anyone, in any genre, who brings to life the human condition with grace and panache. I’m always reading, about half fiction and half non-fiction. Q: Do you have a second career? If not, what did you do before you became a full-time writer? I write full-time, plus every few months I run my “Master Class: Your Novel in Workshop” weekend for writers. I really enjoy helping emerging writers. Before I became an author I enjoyed a twenty-year acting career in theater and TV. Q: What, in your opinion, are the most important elements of good writing? Characters that readers care about. And, always, characters who face huge challenges. Perseverance. And a love of humanity. I don’t mean sentimentality, which is all surface, I mean a deep empathy for the shared values of all peoples in all times. Q: Which is your favorite of the books you have written? Yikes, that’s like asking a mother which of her children she loves most! Truly, all of them. Except the work-in-progress, which at the moment is an unruly adolescent, but I have faith that it’s just a stage. Writing, like being a parent, takes a lot of faith. I cannot write with any noise around; even a radio in the next room makes me crazy. I can, however, write anywhere, as long as I have silence, heat, and tea. Walk, just about every day. Sail – my husband and I have a Cal-46 ketch and we sail her on beautiful Georgian Bay, Lake Huron. And I cook. I’m a very good cook. Vegetarian. Q: Tell us about your upcoming release. 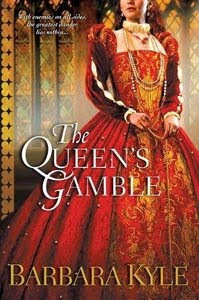 The Queen’s Gamble is the fourth book in my Tudor-era “Thornleigh” series. Isabel, the Thornleighs’ daughter, returns to London from the New World with her Spanish husband Carlos Valverde and their young son, and is swept up in the first international crisis of the young Queen’s Elizabeth reign: the French, who control Scotland, have landed troops along England’s border, threatening an invasion. The Queen recruits Isabel to take money secretly to aid the Scottish rebel faction trying to drive out the French. But when Carlos is sent to Scotland as a military advisor to the French troops, he and Isabel find they are on opposite sides in this deadly war – and the Queen has made their little boy her hostage. 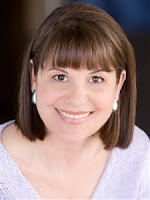 Barbara Kyle is the author of the Tudor-era novels The Queen’s Gamble, The Queen’s Captive, The King’s Daughter and The Queen’s Lady, all published internationally, and she is pleased to have recently signed a 3-book deal to continue this series. Barbara previously won acclaim for her contemporary novels under pen name ‘Stephen Kyle’ including Beyond Recall, a Literary Guild Selection. Over 400,000 copies of her books have sold. Her latest contemporary novel Entrapped is available as an e-book at amazon.com. Barbara is passionate about helping emerging writers. She has taught her “Writers Boot Camp” for the University of Toronto School of Continuing Studies, and is known for her dynamic workshops for many writers organizations. She offers her own Master Class workshops focused on each participant’s novel-in-progress.